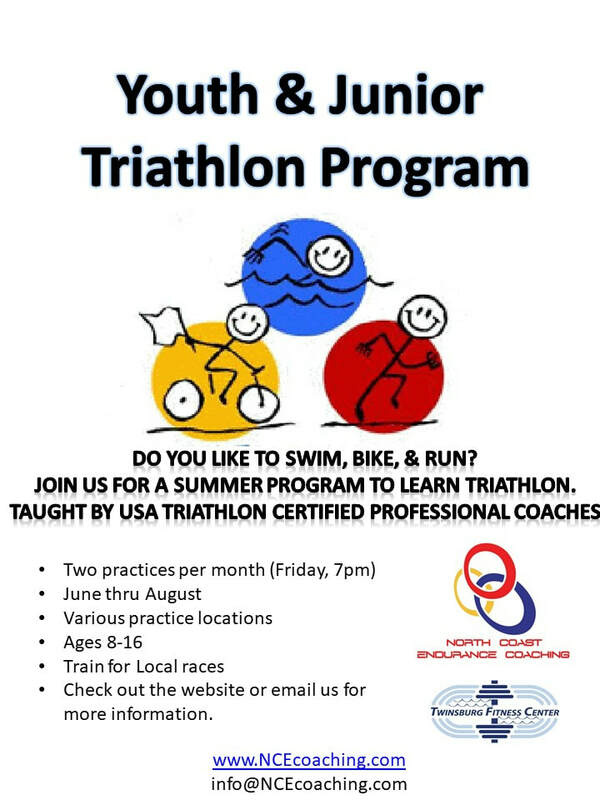 This program is for kids that are new to triathlon or still developing skills. Practices will be held twice a month in Northeast Ohio from June thru August. Each session will include youth appropriate warm ups, biomechanics drills, workouts & games, skills practice, and cool down. The goal is to learn skills for triathlons while keeping it fun for the athletes. Junior (13-19 yr. old) athletes will have the opportunity for a longer and more intense practice than the youth (8-12 yr. old). These will be separate. Practices will be held at a local pool, beach, running track, bike trail, or other safe locations. All athletes must have their USA Triathlon licenses current for 2019 to participate in team activities. Each non-swim practice starts at 7pm. Please show up at 6:45 for Twinsburg as the outdoor pool closes at 7:30pm. * Older kids will have a more demanding workout that will be mostly separate from the younger kids. We offer coaching and technique training for youth and junior athletes. Young tend to have fun, short workout sessions that are focused on skill development rather than building endurance and intensity. As they get older, the sessions become more challenging and race specific. Athletes learn how to navigate a swim course, execute smooth transitions, how to ride in a group of cyclists, and proper running mechanics. Even Junior athletes are still doing shorter distances but at a higher intensity and at a higher skill level. Youth triathletes are defined as age 8-16. Junior triathletes are from 16-19 years old. The distances vary by age group. See the below chart for standard distances. Most youth athletes compete in traditional non-drafting formats, exclusively for youth, also referred to as Kids Triathlons. The athletes are not allowed to draft off another athlete during the bike leg. Age categories are usually divided up into 7-8, 9-10, 11-12, & 13-15. The distances are short and get longer as the child ages up. Athletes between the age of 13- 15 can participate in draft legal triathlons similar to the Olympic format and bike racing. The difference is that the athletes ride their bikes in a pack utilizing drafting and pack tactics. These are referred to as Youth Elite Cup races and serve as qualifiers for Youth Elite National Championships. Athletes ranging in age from 16-19 compete in traditional non-drafting formats and typically race the same distance as an adult sprint race. The athletes are not allowed to draft off another athlete during the bike leg. The intensity is quite high as is the speed. Many of these athletes are accomplished high school swimmers and cross country / track runners. Athletes range in age from 16-19 as well but race in the same format as the Olympic races in that the cycling leg is draft legal similar to bicycle racing. These are referred to as Junior Elite Cups and are qualifiers for the Junior Elite National Championships. 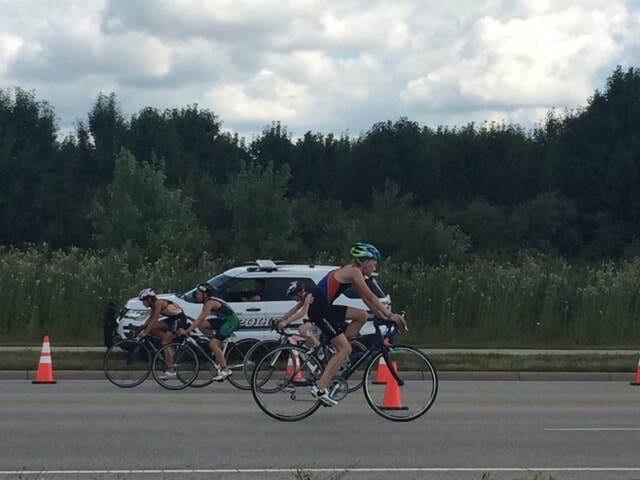 These type of races feature athletes that have great swim skills, excellent bike handling in a pack, and a strong run. Many of these are identification events to find future national team members or future Olympians.